The OS2 VP Staple’s compression on release design and PEEK construction offer constant and reproducible compression.  The OS2 VP is from the first family of PEEK-OPTIMA® osteosynthesis Staples and is recognized for the absence of nickel and metallic sensitivity concerns, and is widely used for its biocompatibility, mechanical and radio-transparent qualities. PEEK-OPTIMA® is radio transparent. 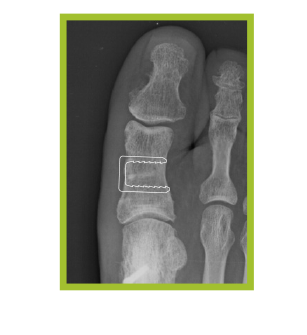 This enables clearer OR and post-op imaging of the surgery site. With its compression on release design, the legs of the Staple converge by 20°. Storage and use is at normal room temperature. 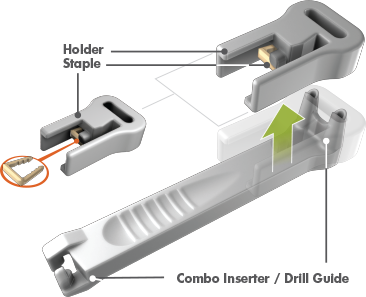 The compression staple’s teeth design ensure stabilityon insertion. The OS2 VP Staples are delivered sterile on a disposable, recyclable holder and can be easily loaded on the Inserter when ready. 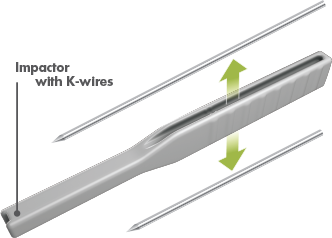 The Sterile Implant / Instrument pack includes 2, 1.6mm K-wires; one 70 and the other 100mm, a combo Inserter / Drill Guide and independent Tamp.  After opening the sterile pack, release the Loader from the Holder/Drill Guide. Free the K-wires from the Impactor/Tamp. The O.S.2 VP Staple is nested within the Holder.